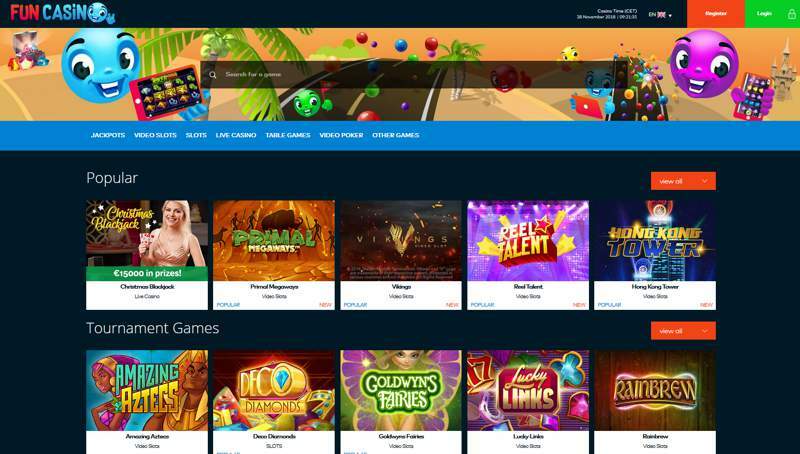 If you’re a South African player and you haven’t heard of FunCasino, then you’re in for a fun treat. It opened its doors in late 2017 and, since then, it has become a national favourite. FunCasino offers the best games, the most exciting promotions and the most flexibility to South African players. At FunCasino, you can deposit in Rand, and you can play on the device of your choice. Their games, powered by Amatic, Evolution Gaming and NetEnt, are ‘no download’ and are compatible with mobile, tablet and desktop. FunCasino holds two licenses to operate, and their security is excellent. Fun is what happens when you’re busy playing at FunCasino. Sign up today, redeem the Welcome Bonus and the fun will never stop. Register an account at Fun Casino and receive 11 free spins. Receive a R4,990 first deposit bonus plus 100 free spins. 11 No Deposit Free Spins when registering an account and up to R9,980 in welcome deposit bonuses plus an additional 100 Free Spins. Receive 11 Free No Deposit Spins when you complete the registration process which takes under 60 seconds to complete. Make a 1st. Deposit over R100 and receive a 50% Deposit Bonus up to R4,990 and receive 100 Free Spins. Make a 2nd. Deposit over R100 and receive a 50% Deposit Bonus up to R4,990. 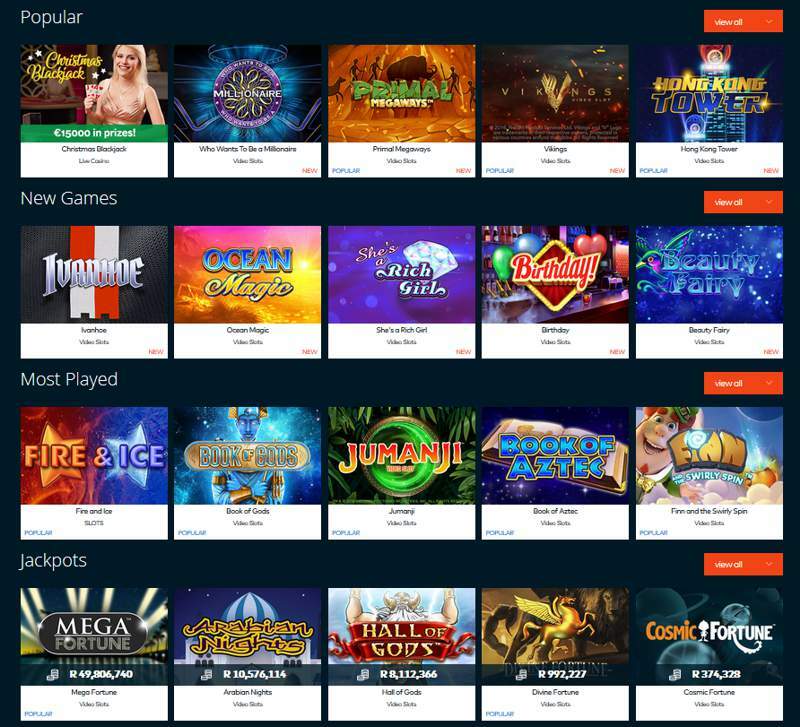 The free spins can be used on the following, highly-popular slot games from NetEnt: Finn & the Swirly Spin, Joker Pro, Wild Wild West, The Legend of Shangri-La or Starburst. When it comes to bonuses at FunCasino, there’s no end in sight! As a regular player, you can look ahead to receiving plenty of regular bonuses through FunCasino’s promotions. FunCasino encourages you to set free your inner competitor with their Game Tournaments. These competitions can be held on any of the casino’s top-quality games. Maybe you’ll have to get the biggest win on Pyramid or you’ll have to play the most rounds on Starburst. Whatever the challenge is, make sure you come out on top to get a cash prize from the casino. FunCasino also encourages you to make the most of every weekend with Fun Fridays. Get a little something for the weekend from the casino each week. Weekly gifts can include Free Spins, Reload Bonuses or Cashback. FunCasino has everything in their games collection – and where there are great games, there’s fun to be had. The 400-strong games collection also includes table games and live casino games. Evolution Gaming’s live games are incredibly popular, especially their latest release: Lightning Roulette. FunCasino never want the fun to stop, which is why they are forever adding to their collection! It’s no fun when you have to lose out on the exchange rate, or you get charged when making payments. That’s why there are no fees involved with making deposits or withdrawals at FunCasino, and why you can also deposit in Rands. The following payment methods are available to South African players: Skrill, PaySafeCard, Ecopayz, Neteller, MasterCard, Visa and Bank Transfer. The super friendly, highly-trained support team can be contacted three different ways, so take your pick. If you’re in the middle of having fun, it’s probably quickest to instant message on the Live Chat. Otherwise, you can e-mail or call on [email protected] or +365 2034 1659. All-year-round, the English-speaking customer support executives are available to assist you between 8 am, and 1 am CET.